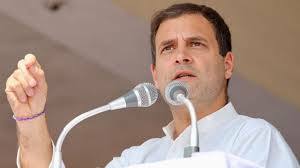 Women will be given 33 percent reservation in Central Government jobs: Rahul Gandhi. He was interacting with students of Stella Mary’s College in Chennai this morning. Mr Rahul said the GST regime needs to undergo changes to lessen the tax burden of people. He said women need to be viewed as equal to men in society. He remarked that the current allocation for education and research is inadequate and said it needs to be augmented.